BSA Principal Martin Willoughby and co-author, Carl F. Hicks, are featured by Mississippi Business Journal columnist Lynn Lofton. Lofton reviewed the duo’s recent book, Unlock the Growth Potential of Your Organization. Click here to read. According to an American Medical Association study in 2012, 53 perccent of physicians were full or part owners of a practice; 42 percent were employees; and 5 percent were independent contractors. Of particular note is that in 1983, 75.8 percent of physicians were self-employed. This trend has continued as approximately 75 percent of physician hiring in the last two years has been by hospitals. Anyone familiar with the medical industry knows the challenges of being an independent physician practitioner today. The amount of complexity involved in operating a medical practice from a regulatory and financial perspective is staggering. Since the health care industry is such a large part of Mississippi’s economy, I am always interested in learning from leaders in the medical field. My interviewee this week, Dr. A. Terrel Williams, is a successful ophthalmologist and practice owner. Williams is a native of Churchill and graduated with degrees in history and chemistry from Millsaps College. He noted, “I believe that the liberal arts education that I received at Millsaps has been a great benefit to me in my quest for learning and knowledge. It gave me a broad perspective and allowed me to learn about a range of areas, including religion, philosophy, art, and politics as well as science.” Williams received his medical degree from the University of Mississippi Medical Center, and he completed a surgery internship at Tulane. After completing three years of eye research at LSU’s Eye Center, he completed his ophthalmology residence back at UMMC. 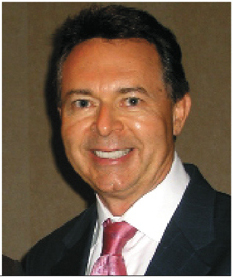 Williams began his private practice career with Dr. William Aden before opening his own solo practice in 1990. Since then, Williams has built a very successful practice focusing on cataract surgery, contact lenses and dry eyes. We discussed the challenges faced today by today’s medical practitioners. Williams noted the difficulty in navigating the ever-changing healthcare industry landscape. He explained, “Physicians today in private practice not only have to stay on top of the latest development in their medical field, they also need to know and understand the ‘business’ of medicine as well as the regulatory environment.” He shared that physicians coming out of school today have to decide whether they want to become employed practitioners and just focus on medicine or be in private practice which require knowledge and skill in running a business. For future leaders, Williams emphasized the importance of being teachable. He said, “You have to realize that you never know everything, and thus always continue learning both to keep up with current teaching as well as for personal development.” He also explained that honesty and character are what truly count. He always emphasizes to “Do the Right Thing” and encourages his employees to follow the Golden Rule. I was inspired by Williams’ intentionality in his continual learning, and his focus on mission work around the globe. He is a great example of how health care providers can still successfully operate in the complex world of medicine today. Originally published in the Mississippi Business Journal, January 29, 2015. Butler Snow Advisory client Curtis Lumber Co. is featured in this Memphis Business Journal article, originally published October 13, 2014. A critical function for leaders is to define the situation at hand for their organizations. Napoleon is quoted as saying, “The role of the leader is to define reality and give hope.” Similarly, famed GE CEO Jack Welch’s once said, “Deal with the world as it is, not how you’d like it to be.” Defining reality includes the need to “confront the brutal facts” as business guru Jim Collins would recommend. I see too many organizations that deny reality and adopt blind hope as a strategy. Being able to face reality and address it head on takes courage and perseverance. It is easy to deceive ourselves as leaders. We must be vigilant in gathering the true facts of any situation – not just what we want to hear. 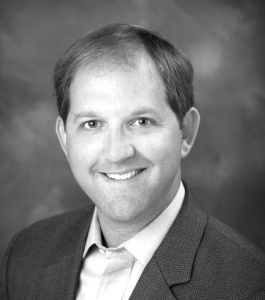 Doug McDaniel, President of McDaniel & Register, Inc., is a committed leader in his industry and community and has consistently strived to help objectively define reality and focus on what is most important in the organizations he has been involved. McDaniel is a native of Jackson and an Ole Miss graduate. He credits the influence of his father and his early leadership positions in high school and college with fueling his interest in leading and serving. After college, McDaniel worked for KPMG before beginning a career in the financial industry with Merrill Lynch in 1984. After later working for A.G. Edwards for a number of years, he joined EFP Wealth Management which proved to be very successful and was later acquired by Stanford Financial. McDaniel noted that dealing with the fallout of Stanford’s demise was certainly challenging as a leader. Through support from family, friends, and clients, McDaniel pressed through that trying time and has built a very successful financial services business at McDaniel & Register. A man of deep faith and conviction, McDaniel has dedicated his time and resources to serving as an active leader in numerous community organization. In particular, he has served as Chairman of the Board at Jackson Prep, Chairman of the Deacons at First Presbyterian Church, and Chairman of the Board of YBL (Young Business Leaders). McDaniel was also a founding member of the Mississippi Center for Public Policy. In these leadership positions, he has become a student of how to unleash the potential of high impact boards. He wisely pointed out that too often we boards have very talented members, but the full potential of the wisdom and experience of the members’ goes untapped. McDaniel pointed me to Harvard professor Dr. Richard Chait’s work on governance and boards. McDaniel also shared a story about watching an interview years ago of Jim Barksdale when he was with Netscape by Lou Dobbs of CNN. Dobbs was asking Barksdale about how he managed the company in the complex and fast moving world of technology. Barksdale answered the question by stating, “The main thing, Lou, is to keep the main thing the main thing!” McDaniel also shared a very important consideration for leaders and boards, “Don’t confuse process with progress.” In other words, just because a group followed an efficient process for a meeting does not mean that anything was actually accomplished. I appreciate leaders like McDaniel who lead with conviction because they know who they are and their priorities. I know he will continue to positive difference in the organizations he is involved. Originally published in the Mississippi Business Journal, January 22, 2015. A common trait I have found in successful leaders is a commitment to preparation. Benjamin Franklin noted, “By failing to prepare, you are preparing to fail.” On game day, well prepared athletes make it look easy. However, we know that hours of hard work went into getting ready. Legendary football coach Paul “Bear” Bryant explained, “It’s not the will to win that matters—everyone has that. It’s the will to prepare to win that matters.” In our fast paced culture, it is easy to cut corners and not do our “homework.” However, digging in and really being prepared makes all the difference. Whether preparing for an interview, sales opportunity, or investor presentation, being prepared helps you stand out from the crowd. Colby Lane has led a life of intention and preparation. He is a business leader on the rise and one to watch in the coming years. Lane, a native of Brandon, earned a B.A. in Economics from Millsaps before going on Harvard Law School. After practicing with Wilmer Hale in Washington D.C., he returned to his home state to serve as Assistant United States Attorney in the Southern District of Mississippi. He then went on to serve as Deputy Chief of Staff and Chief Counsel for Governor Haley Barbour. After a very successful career in the law and public service, Colby formed Eagle Ridge Growth Partners as an operator-led private investment company which recently acquired its first company, PEC Safety. As of November, Lane has assumed the role of CEO of that company. Lane has worked hard and developed a reputation for delivering results with high integrity. His commitment to hard work, preparation, and service have allowed him to be successful at each stop in his career. I know his new venture will certainly benefit from his skills, expertise, and preparation. He will be one to watch in the years to come. The New Year brings a sense of renewal and change. Studies show that almost half of Americans make New Year’s resolutions. Unfortunately only about 10 percent of those will actually achieve their goals. As you might imagine, resolutions to improve health and finances rank at the top of the wish list. One of the key ways to achieve resolutions is to let them become a habit. Psychologist Williams James noted, “All our life, so far as it has definite form, is but a mass of habits.” While it is frequently said that it only takes 21 days to make a new habit stick, my review of the scientific literature on the subject indicates that it takes our brains closer to 60 days to actually rewire around a new habit. As we enter 2015, here are a few leadership ideas to consider making a habit. Studies have shown that for knowledge workers, money alone is insufficient to motivate performance. Dan Pink summarized this research in his book Drive and noted that workers are best incentivized by creating an atmosphere of autonomy, mastery, and purpose. In addition, I believe that people need authentic and genuine appreciation. As I interview employees in organizations, I am amazed at the number of them who have never been shown appreciation in any form. Appreciation is like a gift. There is no reason as a leader to be stingy with this gift. Whether a subordinate, co-worker, or a boss, I highly encourage people to get in the habit of showing appreciation. I believe one of the most difficult aspects of leadership today is living by the motto “say what you are going to do, and do what you say.” As I was beginning my career, a wise businessman told me that if I would do good work, return phone calls, and do what I said then I would always have plenty of work to do. I believe there is great truth in his advice. As leaders, we need to make a habit of being excellent at follow up and execution. In addition, if you have people that you are delegating to then you need to be very intentional about follow up. One of my early mentors kept a legal pad where he wrote down every promise someone gave him regarding delivery on a project or task. If you missed a deadline, you could expect an immediate phone call from him. My observation was that his team knew that when they were assigned a task and deadline that he meant it. I hope these ideas will be an encouragement to you to be the best leader you can be in 2015. I look forward to sharing more stories about the leaders doing great things around Mississippi in future columns.